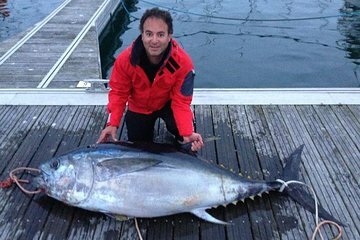 Hook a big one on this half-day small-group guided big game fishing trip from the marina of Ponta Delgada. With an experienced crew, you will have the opportunity to catch marlin or tuna approaching record size. This tour is great for both novice and expert fishermen, so come along for an unforgettable day at sea. Numbers are limited on this tour for a more intimate experience.